I believe that the welcome and attractiveness of any place do not simply reside in the place itself but rely also on the careful attention given to all its attendant features and amenities, which contribute to its cultivated elegance and communicate a genuine life-style experience. This is why I chose that the details would be a dominant element in Trulli La Pietraia, strictly in keeping with the area and all its lasting appeal, so that your stay there may be a truly joyous experience. A welcome basket of selected local products complemented with a sample of our extra virgin limited production olive oil. The Address Guide of Trulli La Pietraia Boutique Home, with carefully chosen directions to the most interesting and truly impressive places in the area for you to discover. A fabric handbag to use throughout your holiday in Puglia. 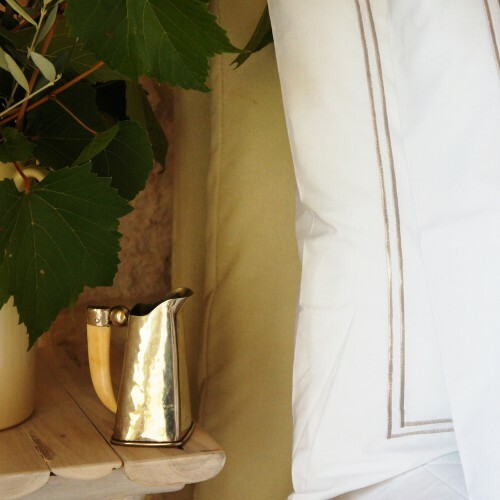 Cotton bed-linen in woven percale cotton by Tessitura Calabrese of Lecce. 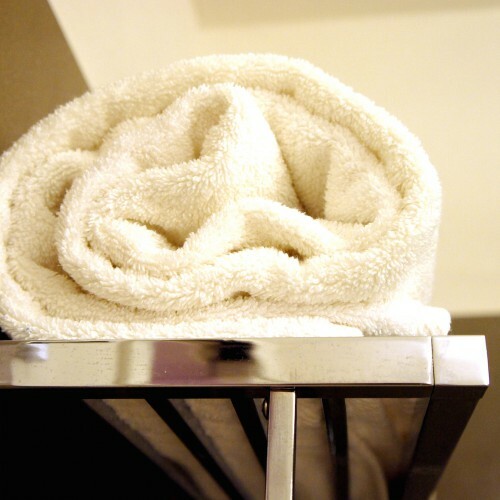 Soft bath towels of percale cotton by Tessitura Calabrese of Lecce. A set of bio olive-oil bath soaps of Essentia Puglia. 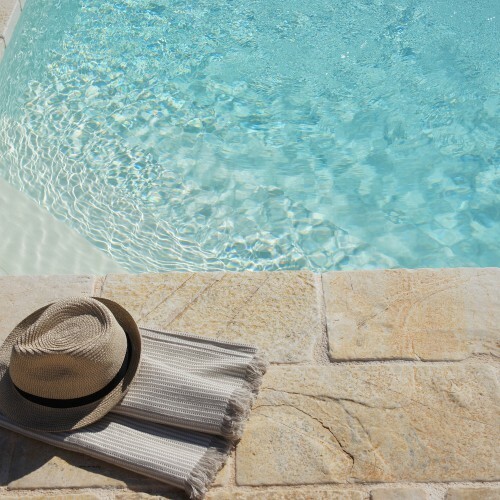 Pool towels in honeycomb cotton woowen by Tessitura Calabrese of Lecce. Two hours of domestic cleaning. Alarm system and security service.